If you’re in a pinch of time and money, reach for quick and flavorful canned good recipes. 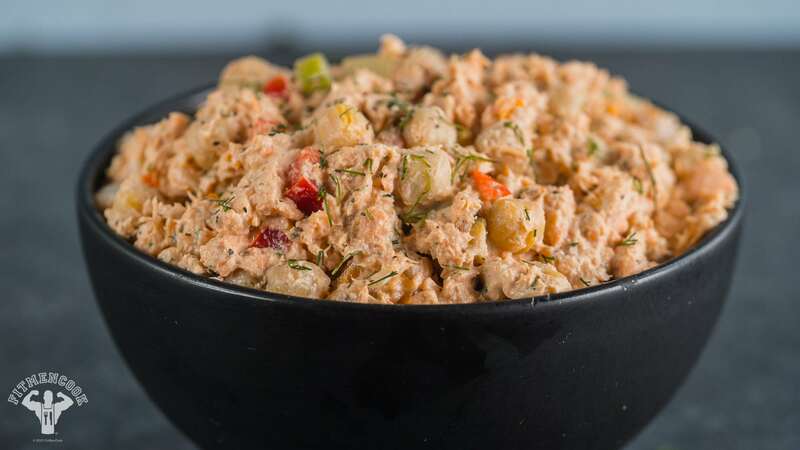 This salmon and chickpea salad is a meal all by itself with quality protein, healthy fats and complex carbohydrates. 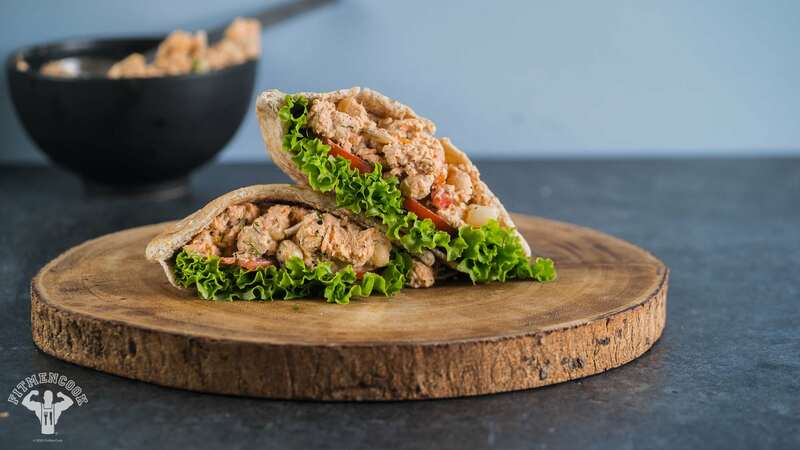 Just add the salad to whole wheat sandwich or pita bread, or even Romaine lettuce for a lower-carbohydrate option, to have a satisfying meal. 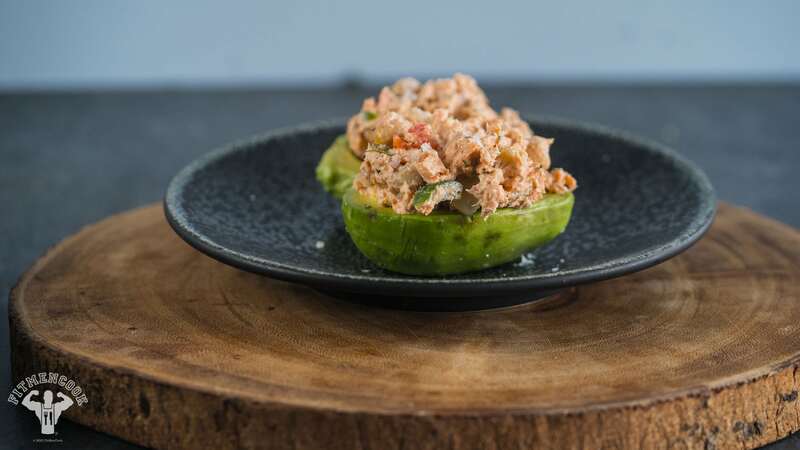 Oh yeah, and stuffing it inside an avocado just seems like the right thing to do as well. Enjoy! Mix together all of the ingredients in a bowl and season to taste with sea salt & pepper (and dill if desired). If you want to add some heat, sprinkle in some red pepper flakes.